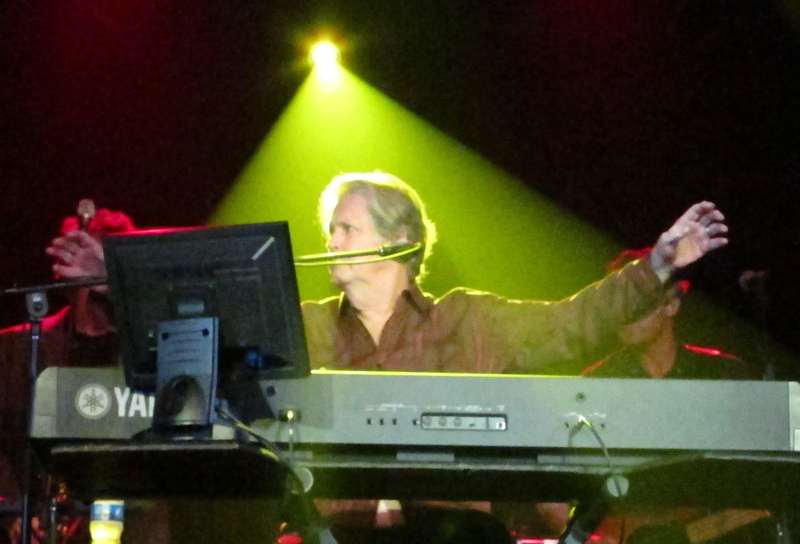 Brian Wilson comes alive | Will You Miss Me When I'm Gone? The funny thing about Brian Wilson, the man who masterminded the Beach Boys, is that he doesn’t look like he really cares all that much about his legendary surf-and-sun band’s music. Sure, he’s got all the moves down, gives the heavily scripted introductions you’d expect. 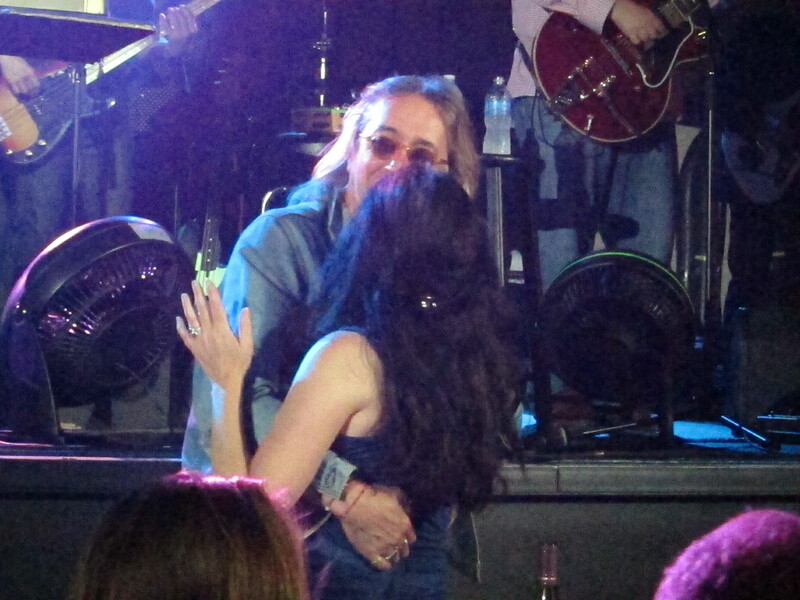 He was pretty much the picture of a legendary bandleader when he brought his act to Manhattan’s Highline Ballroom in Manhattan on Sunday, June 12. But he had that faraway look in his eyes. Brian Wilson and his band. 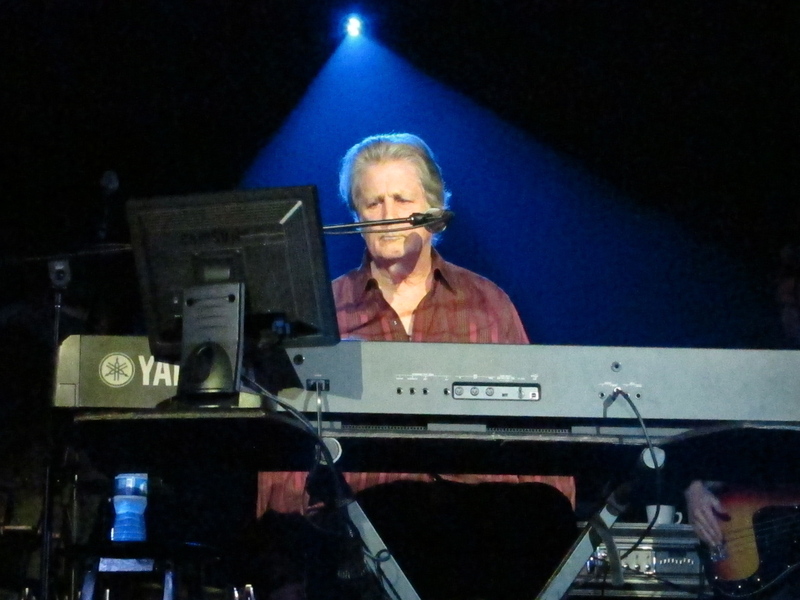 Brian Wilson at the keyboard. 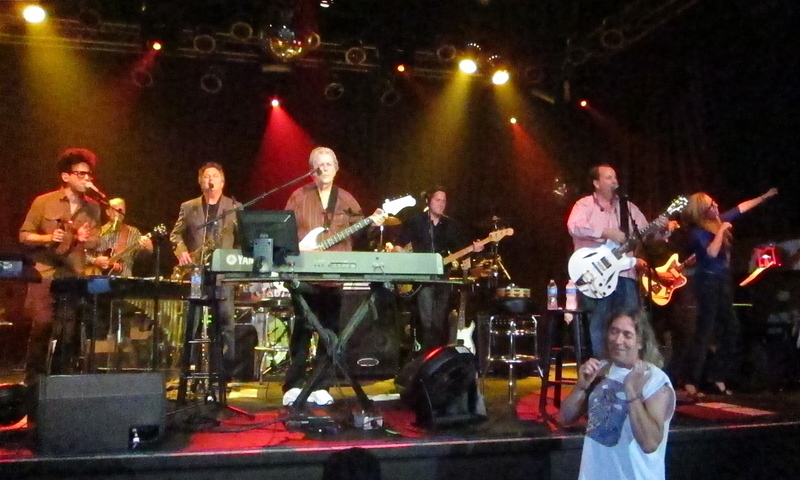 They were note perfect, thanks in large measure to the members of LA’s Wondermints (Darien Sahanaja, Nicky “Wonder” Walusko, Mike D’Amico and Probyn Gregory), who comprise the core of Wilson’s band, along with the amazing vocalist, Jeff Foskett and muti-instrumentalist Scott Bennett. And they had an attentive crowd on the second of a three-night stand at the supper club in the Meatpacking District, where fans paid $125 a pop to see and hear the legendary Wilson. Scott Bennett and Darien Sahanaja. It wasn’t until the second half, when he and the band performed Brian Wilson Reimagines Gershwin, a project that was suggested by composer George Gershwin’s estate. When he started playing keyboards or bass on Gershwin tunes like “I Got Rhythm,” “Rhapsody in Blue” and “Summertime,” the faraway look vanished, Wilson’s face brightened, and he performed like his life depended on it. Too bad that at least some members of the audience left during the break, after Wilson said he’d be back to play Gershwin. 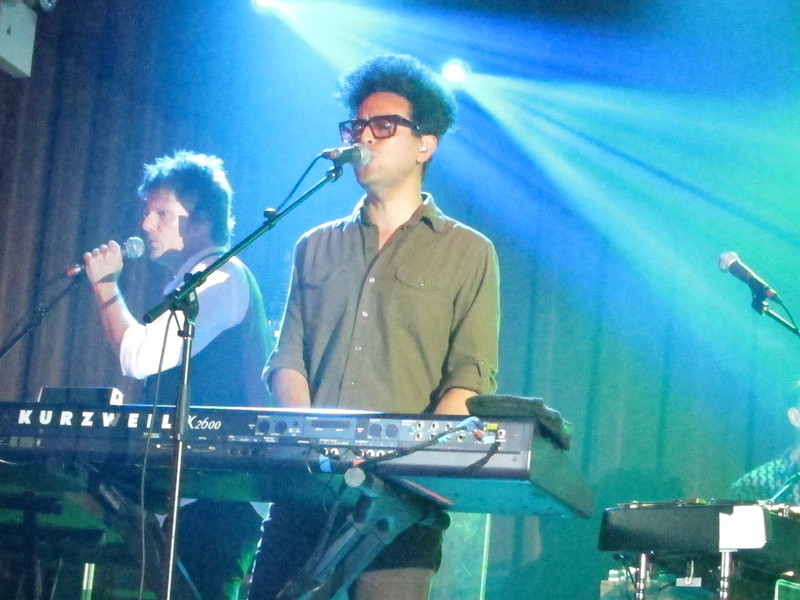 The second set was more engaging and lively than the first. As one of my tablemates said, the whole show “exceeded my expectations.” Wilson was not a dinosaur cranking out the hits — however expertly. He was a man truly connected to the music he was performing. 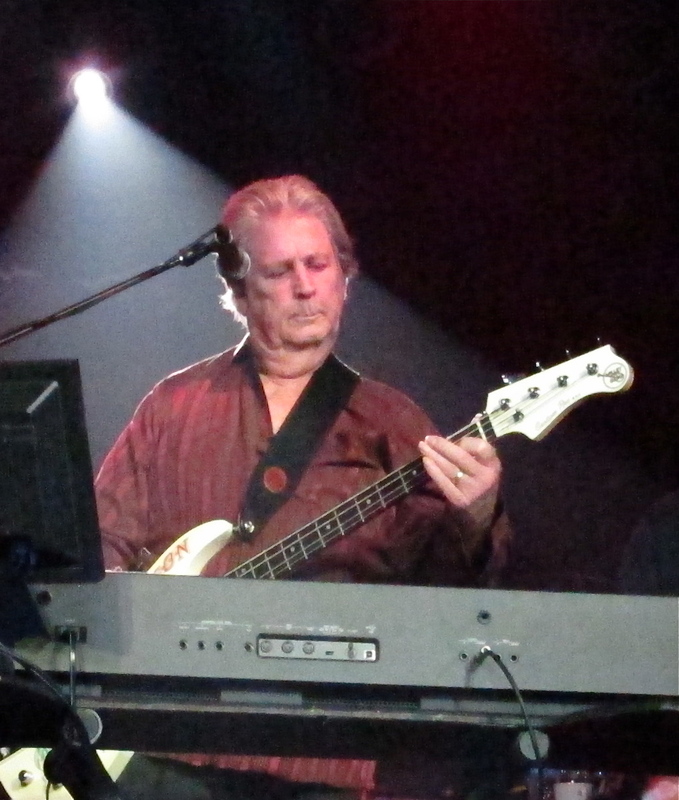 Brian Wilson leads the band. Dancing to Brian Wilson's music at the Highline Ballroom. 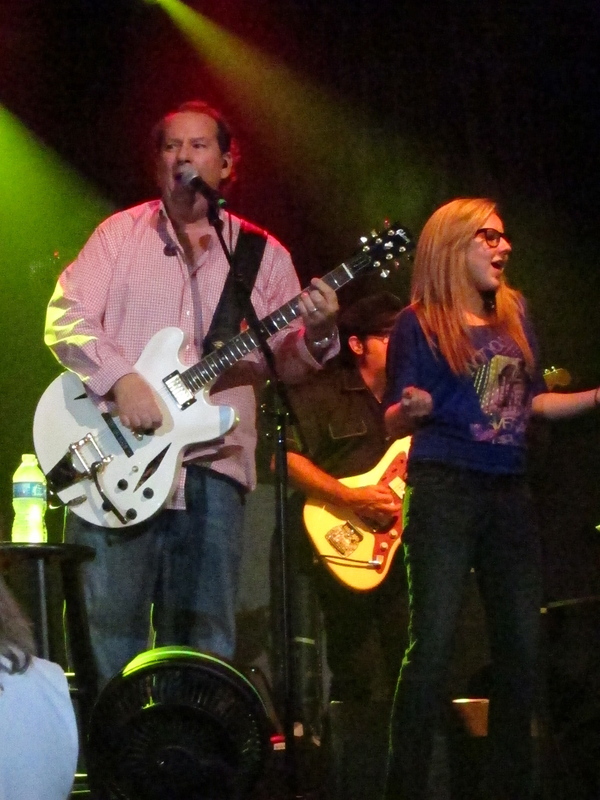 Jeff Foskett sings the Mike Love parts. This entry was posted in Concerts, Music, News, Pop and Rock, Review and tagged Beach Boys, Brian Wilson, Darien Sahanaja, George Gershwin, Highline Ballroom, Wondermints. Bookmark the permalink.